Nicholas Manu is the CEO of CookClean Ghana Limited and Chairman of Ghana Alliance for Clean Cookstoves and Fuels. Mr Manu graduated in logistics from the State College of Commerce in Hamburg and is a registered UN Business Consultant since 1991. Mr Manu has over 25 years of international experience working in senior positions for manufacturing businesses in Germany; specifically in health & safety equipment and tools. As senior manager, Mr Manu has worked in various capacities in companies in Africa and Germany with excellent achievements in various disciplines. As an entrepreneur he founded a company that manufactured occupational safety and hygiene products, distributed in Germany and Europe as well as Africa. 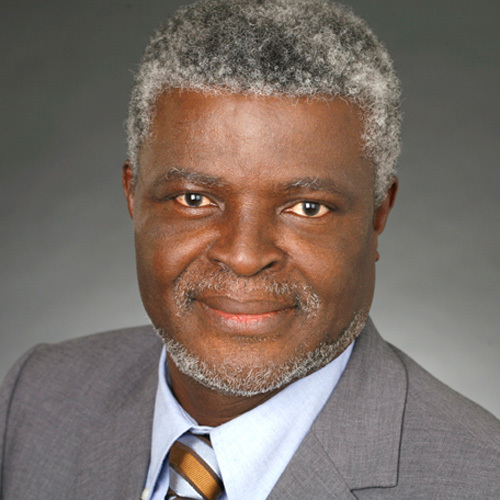 He served as a Consultant for firms in Canada, Russia, Nigeria, Ghana and Cameroun in the field of occupational safety and hygiene. In addition, Mr Manu founded a software consultancy in 1997, which he ran for 11 years prior to starting CookClean Ghana Ltd.
Mr. Manu has always seen himself as being committed to helping the needy and has in this spirit sponsored the education of many people in the village where he was born and where many were and are still under-privileged. He founded the WHERE FOUNDATION; (www.where-ngo.org) an NGO that has helped built 5 Classrooms for his village when the previous Classrooms were destroyed by heavy rainfall. The desire to help the needy and meaningfully contribute to alleviate poverty has always been his driving motivation.